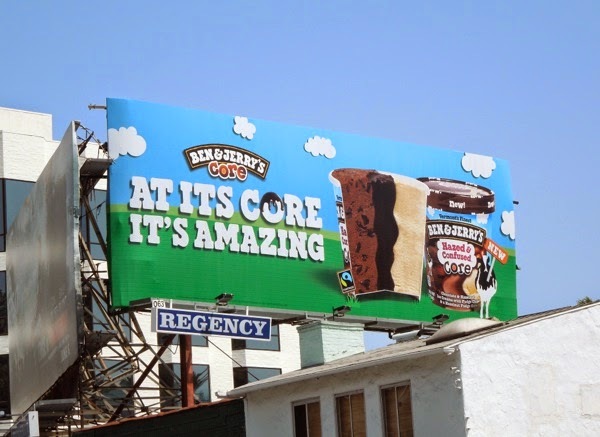 For all of you enjoying the long Memorial Day weekend, here's something to make your barbecue parties (or a relaxing moment by yourself) even more tasty, the new 'Core' ice-cream from Ben & Jerry's. Already known for their fun names and inventive ingredient combinations, each indulgent pint comes with a new core centre of caramel, fudge, or raspberry jam to compliment the delicious ice-cream flavours and assorted chunks, chips and pieces of yumminess. 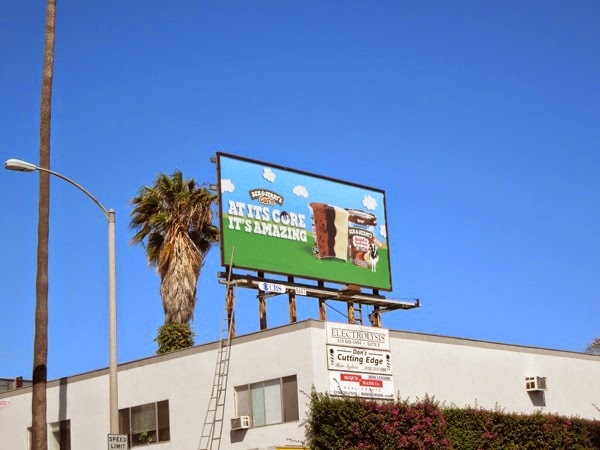 These colourful ad creatives quickly convey the new product concept and retain Ben & Jerry's irreverent brand credentials. 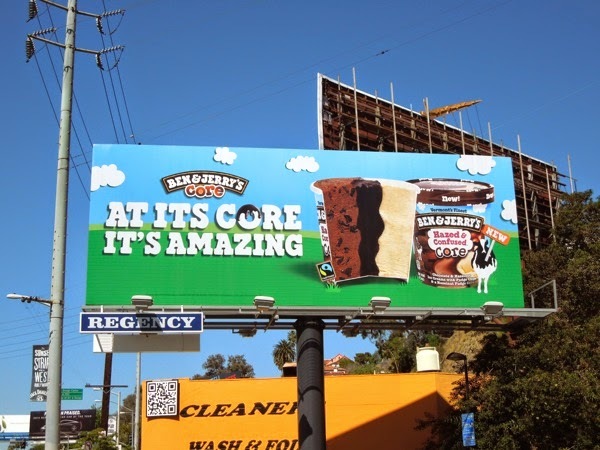 The 'At its core it's amazing' Hazed & Confused billboard was first spied along L.A.'s Sunset Boulevard on May 7 and later further east along the Strip on May 13, plus a smaller version was snapped in Santa Monica on May 21, 2014. 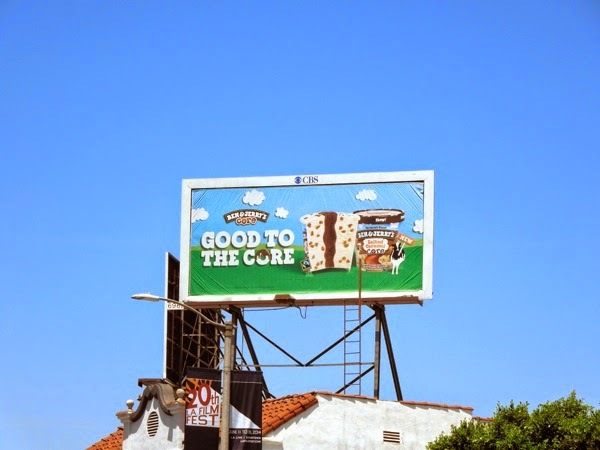 Meanwhile the smaller 'Good to the core' Salted Caramel ad creative was spotted along La Brea Avenue on May 14, 2014. 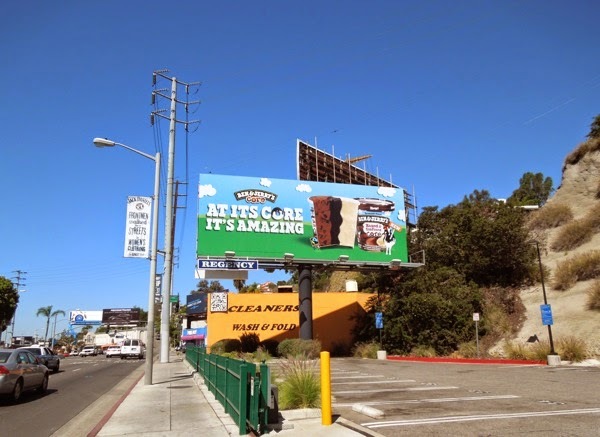 If you're a fan of the ice-cream brand, be sure to also enjoy these fun Ben & Jerry's ice-cream and frozen yogurt billboards from years past. Is your mouth watering yet? 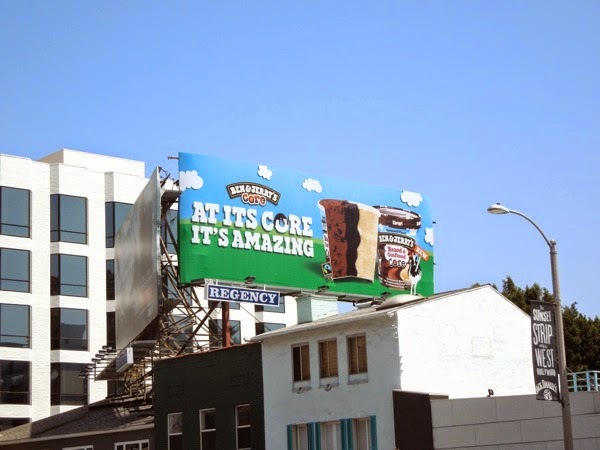 Looks like it's time to rush to the freezer for a sweet, indulgent treat - it would be rude not to. 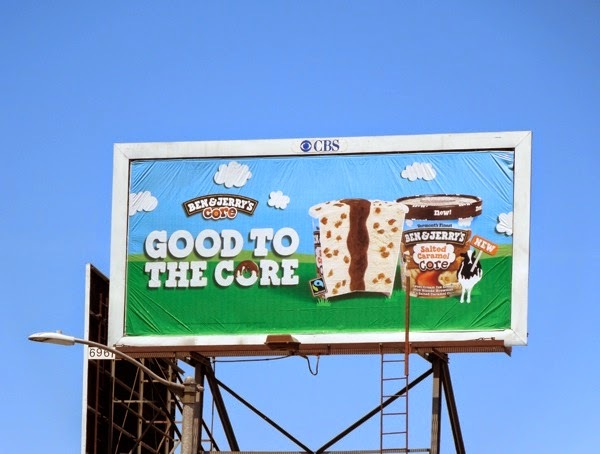 UPDATED: Two years later here's some additional 'Core' ice-cream offerings from Ben & Jerry's. 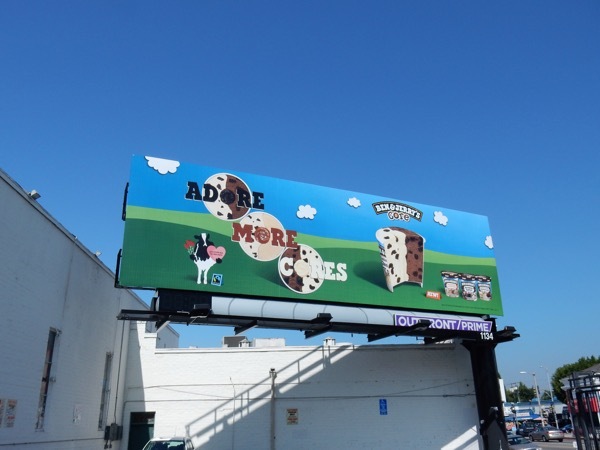 This 'adore more cores' billboard was snapped along Beverly Boulevard on May 12, 2016. 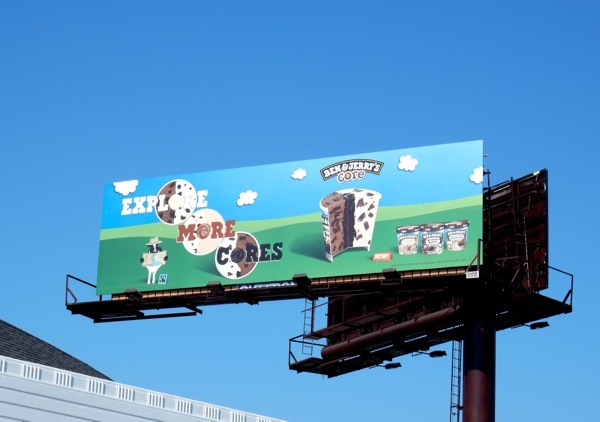 Plus here's another 'explore more cores' billboard spotted above Pico Boulevard on May 26, 2016.